With a capacity of 650 BBs (Never shoot BBs at hard objects or water! ), you'll be shooting all day long! 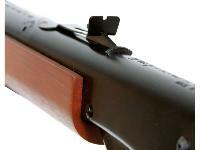 The rifle comes with a blade and ramp front sight and an adjustable open rear sight. It has a stamped metal receiver and synthetic cocking lever. 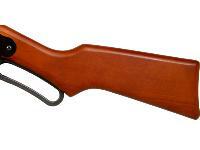 The Red Ryder now includes the revolutionary LASSO Mount that adds an 11mm Dovetail rail onto this classic rifle. 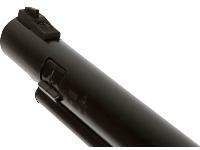 Once fitted, you can easily add a small scope, and keep your targets nice and close. 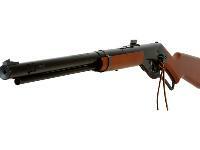 This rifle is perfect for plinking, shooting paper targets and for training new shooters. 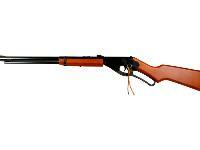 The Red Ryder is intended for shooting targets UP TO 5 meters away - about 16.5 feet. Safety glasses for the shooter and everyone else in the vicinity are necessary, as BBs can bounce back. Remember to remove all pets from the area, as BBs can ricochet in many unexpected directions. Click the AMMO link to stock up on BBs. Click the ACCESSORIES link to find fun targets, safety glasses and other gear. Things I liked: A great and wonderful teaching tool. I bought this gun for my grandsons to teach them the basics of gun safety, and basic shooting skills. I t has been a complete success. There has been no greater joy in my life to see them shoot their first target! That in itself far exceeds the cost of the gun. It is accurate. 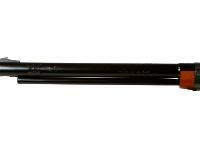 It will ricochet steel BB's even an occasional lead BB as well so shooting glasses are a must. 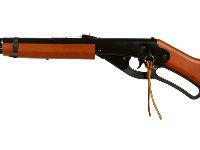 This is the perfect gun for young girls and boys from age 8 and up. I love it. Things I would have changed: For what it is made for nothing. What others should know: Use lead BB's and safety glasses! We shoot the gun maximum about 25 feet. It will still sink a steel BB into our old fence. We have success old prescription bottles, paper targets, old soda cans, all with success. I can't say enough about teaching our children the basics and dangers of loaded weapons. Without exception this is the key to stopping accidental shootings in the home. Teach your children and grandchildren folks. An ounce of prevention is worth a pound of cure. When children learn gun safety at an early age they learn the value of life. Their curiosity of what a gun is has so much worth to it. 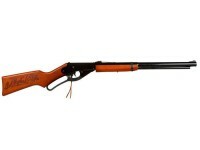 I would not exchange on minute of fun this Red Ryder has brought into our lives. 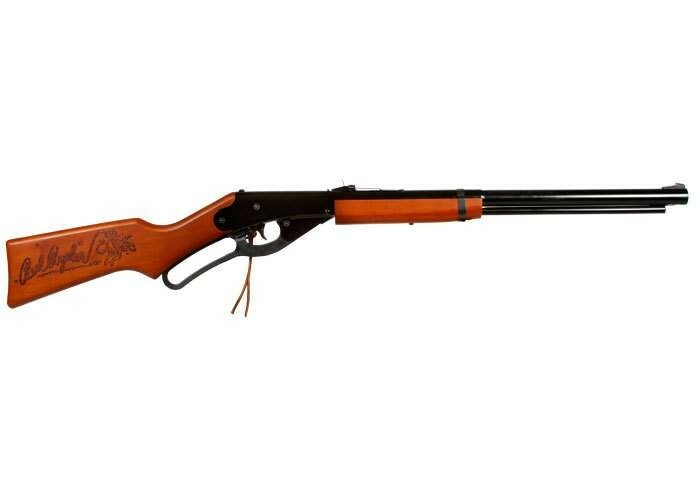 Things I liked: We love our new Daisy Red Ryder , compared to the old Red Ryder we had, this one is way more powerful , Course the old one was over 50 years old... It is lighter then the old one . What others should know: These are not for kids , and even adults need to be careful with them. The Daisy has a safety latch on it - which is good as the old Red Ryder sisn't have that feature. Do you ship these to new jersey? Check with local restrictions before ordering or contact P.A. , they could tell you . Can you shoot more than 1 BB at a time? Where is this one made? I know the new Bucks are made in China. :-( Is this one US made? 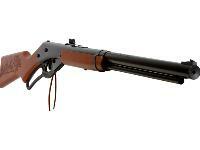 Lever-action BB rifle holds 650 BBs. All-day fun! This rifle is NOT designed for a scope.